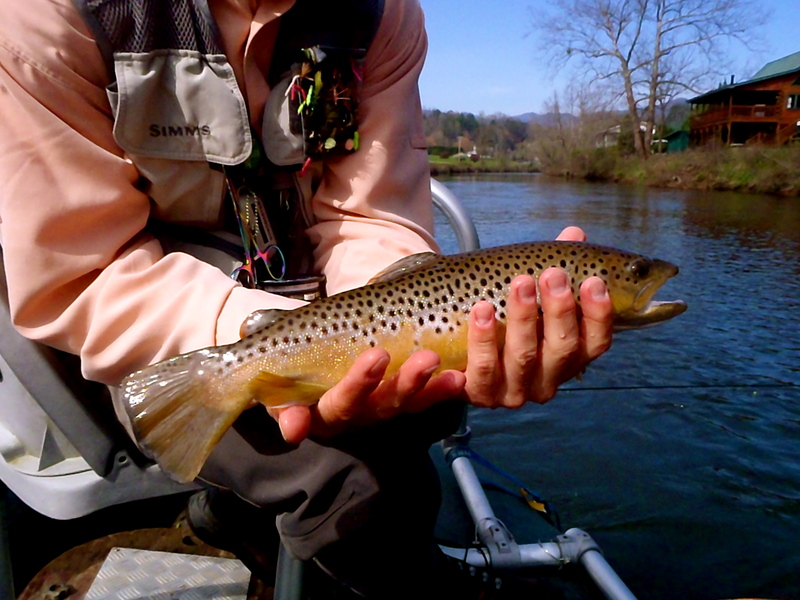 Guided Fly Fishing on the Tuckasegee River | Hookers Fly Shop and Guide Service. Your Smokies Fly Fishing Experience. It has been a very busy weekend here at Hookers Fly Shop and Guide Service. Yesterday, I had the pleasure of guiding Tom on a half day trip on the Tuckasegee Delayed Harvest. 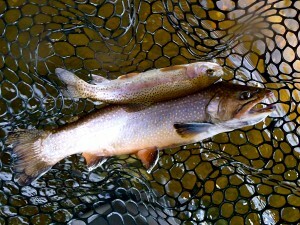 It was a fairly slow day with just a few fish brought to the net with several long distance releases. Fish were taken on a #8 Olive and Black Hot Head Marvin. Today, I guided Julie and Robert R. from Athens, Ga. on a full day float trip on the Tuckasegee River. 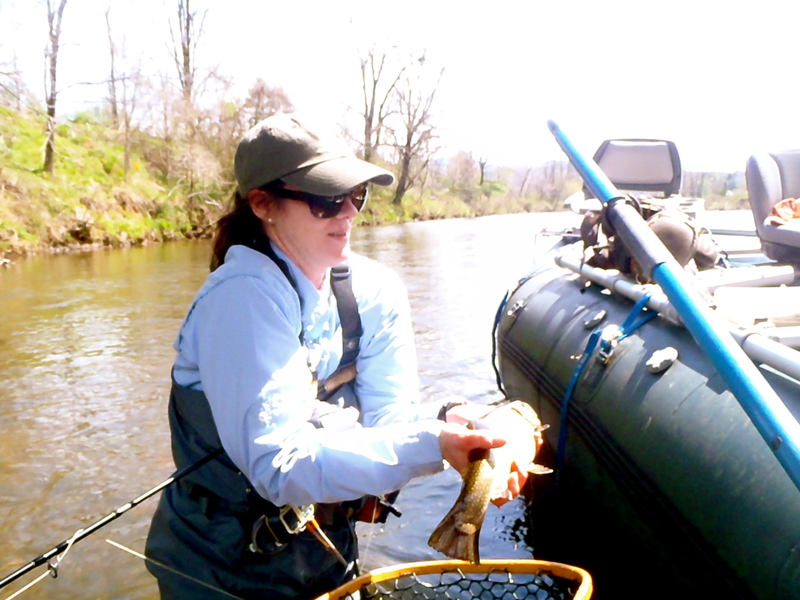 Julie caught four 15-17 brook trout and probably 15-20 rainbows. Robert got the grand slam with several nice brook and rainbow along with the big brown pictured to the left and even one red-eye bass. Most fish were taken on a Hot Head Marvin with a #12-14 Prince Nymph dropper. 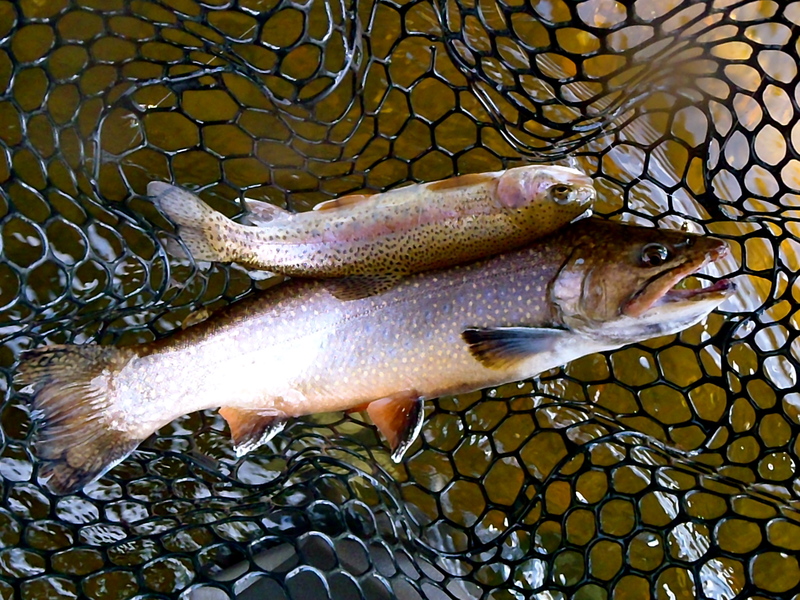 Many of the big fish were taken on a #6 Light Olive Wooly Bugger with a Prince Nymph dropper. During the late morning and early afternoon there was a large Caddis hatch and a small sporadic Sulphur hatch. Overall fantastic couple of days on the water spent with some great company.